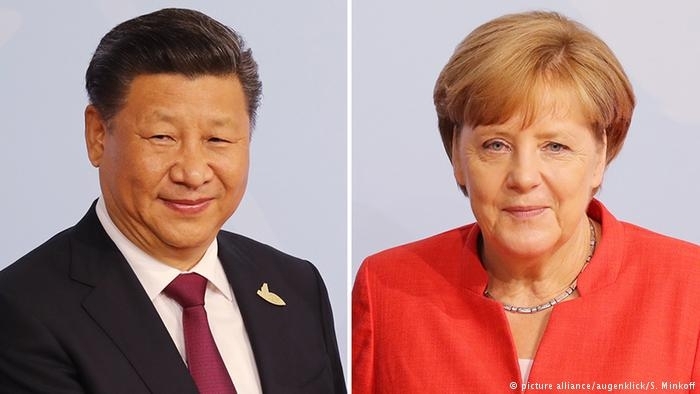 During a phone call on Saturday German Chancellor Angela Merkel and Chinese President Xi Jinping agreed to discuss solutions to global steel overcapacity. Merkel and Xi "emphasized the importance of close and multilateral cooperation in international trade," according to German government spokesman Steffan Seibert. He added that the two leaders also congratulated each other on their re-elections and called for a "deepening" of their countries' strategic partnership. Merkel invited Xi's government to visit Berlin for consultation, while Xi invited Merkel to visit China. No details about whether the visits would take place has been released. State news agency Xinhua said Xi told Merkel that the two countries should "become advocates for a new-type of international relations" and cooperate as partners despite their ideological differences. Merkel and Xi's commitment to the G20 comes ahead of a major summit of the the organization which starts on Monday in the Argentinian capital Buenos Aires. German Finance Minister Olaf Scholz is to discuss steel overcapacity with US Treasury Secretary Steve Mnuchin on the summit's sidelines. The meeting is set to take place amid heightened trade tensions sparked by planned US tariffs on steel and aluminum that will start on March 23. US President Donald Trump said the measures — 25 percent tariffs on steel and 10 percent tariffs on aluminum — would help combat steel and aluminum gluts caused by China. Germany, China and other steel producing countries have denounced the tariffs as short-sighted and ineffective. Merkel said on Friday the tariffs violated World Trade Organization principles, and called for international dialogue to discuss solutions to prevent excess supply. The EU has threatened to retaliate with its own tariffs on US goods if Washington does not exempt its steel and aluminum from the measures. Steel producers in the US and the EU have been squeezed by excess supply in global steel markets caused by China's domestic production. 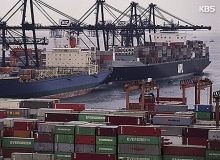 China accounts for more than half of global overcapacity. The US and EU have used the G20 in recent years to urge China to cut generous state subsidies to domestic steel producers to try and curb the amount of cheap steel entering the market. But China has so far resisted cutting its supply without other countries also taking action.